The article, Scared straight: diabetes stigma and trauma in medicine, prompted the Diabetes Voice team to consult with experts about scare-tactics in diabetes healthcare. We turned to Jane K. Dickinson, Program Director for Diabetes Education at Teachers College, Columbia University, New York, and Susan Guzman, co-Founder of the Behavioral Diabetes Institute in San Diego. Both were members of a taskforce consisting of representatives from the American Association of Diabetes Educators and the American Diabetes Association. Along with committee members, they examined the literature and identified recommendations on the use of language in diabetes care and education. The result of that taskforce is a published position paper (December 2017). The authors, including Jane and Susan, defined and adopted four guiding principles for communication with and about people living with diabetes. Diabetes is a complex and challenging disease involving many factors and variables. Stigma that has historically been attached to a diagnosis of diabetes can contribute to stress and feelings of shame and judgement. Every member of the healthcare team can serve people with diabetes more effectively through a respectful, inclusive and person-centered approach. Person-first, strengths-based, empowering language can improve communication and enhance the motivation, health and well-being of people with diabetes. Dickinson et al., The Use of Language in Diabetes Care and Education. Why don’t diabetes scare-tactics work? Jane K. Dickinson (JKD): One of the reasons scare tactics don’t work is because they make people shut down, rather than opening up conversations or fostering trusting relationships. Even if scare tactics produce immediate results, the question is, how long will they last? If the person is making changes based on threats rather than intrinsic motivation, those changes are not likely to stick. Another reason scare-tactics don’t work, especially in children or adolescents, is these age groups do not have the wiring or ability to think long-term. They don’t respond to threats of something that might happen years down the road, because their reality is based in the present. Scare-tactics also make people feel bad about themselves and like they are a failure or not good enough. This does nothing to build people up and give them confidence. Susan Guzman (SG): Most adults with diabetes know that elevated blood sugars can harm them and are quite fearful of complications. The evidence suggests that being fearful of complications, worrying about not eating well enough and not getting enough physical activity is very common and is a key component of diabetes distress for those with type 1 and type 2 diabetes. In fact, many feel doomed to suffer complications despite their best efforts and feel like no matter what they do, it will never be good enough. As a result, many people with high fear and distress feel hopeless about developing complications and disengage from diabetes management. They might think, “What’s the point? It’s too late for me. I’ll never be able to do this. I am doomed.” Telling these people about all the scary things that could happen down the road only serves to feed the sense that they are failing at diabetes and are doomed. It does not help address the actual obstacles that the person with diabetes is facing. In interviews of people with diabetes, scare tactics had the effect of making them feel less engaged in what the HCP was saying and did not feel like it helped them improve blood glucose numbers. 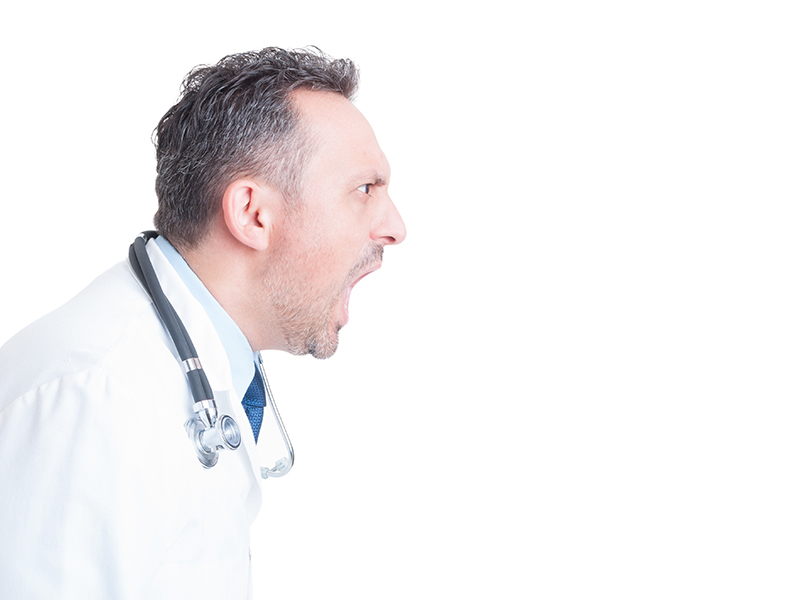 What are the reasons a healthcare provider might use this strategy? JKD: I imagine that healthcare providers who use scare tactics do so because they mistakenly think it’s about them instead of about the person with diabetes. They may be more focused on numbers and results than on the best ways to help the person get there. Person-centered care is about coming to terms with the fact that it’s not about the healthcare provider’s agenda or needs. It’s about asking the patient/person with diabetes how things are going for them. What do they need? What has worked in the past and how can we build on that for future success? The provider-centered model is sometimes called the “compliance model,” while the person-centered model is called empowerment. Understandably, healthcare providers care about patients and want the best health outcomes for them. We just have to be careful and mindful how we go about doing this. SG: The use of scare-tactics by HCPs is an effort to motivate people to better manage their diabetes. The use of these tactics reflects a perception by HCPs that the people who aren’t reaching metabolic goals, who are not making sufficient changes with eating and physical activity (or other health behaviors) or do not take prescribed medication must not be scared enough about long-term complications. The logic goes, if they were scared enough, they would take more action to better manage diabetes. Unfortunately, this assumption is not true for most people and seldom results in the desired response – improved action to achieve safer metabolic numbers. There are important ways to discuss risk of complications without the use of scare-tactics that can help people see diabetes as an important and immediate concern and help them take action to keep diabetes in a safe place. Jane K. Dickinson, RN, PhD, CDE, is Program Director/Lecturer for the solely online Master of Science in Diabetes Education and Management at Teachers College Columbia University, New York, NY, USA. She published her first book Diabetes Karma in 2012, and her second book People with Diabetes Can Eat Anything: It’s All About Balance in 2013. Jane blogs at www.janekdickinson.com and is active in diabetes social media. 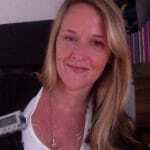 Her research interests include health-related language, hypoglycaemia, and the experience of living with diabetes. Susan Guzman, PhD, is Director of Clinical Education and co-Founder of the Behavioral Diabetes Institute. As a licensed clinical psychologist specializing in diabetes, her clinical and research interests include overcoming barriers to management, family issues with diabetes, and promoting attitudes of living well with chronic illness. She co-developed and co-facilitates BDI’s HCP Continuing Medical Education (CME) programs and many of BDI’s clinical programs, including “Defeating the Depression/Diabetes Connection”, an intensive, multi-week series, “The Just for Parent’s Program” and “Living Well with Complications” were developed by Dr. Guzman.